Good morning! Welcome to the second day of our tour. We wouldn’t want to miss Chipping Campden, a small market town within the Cotswold district of Gloucestershire, England. 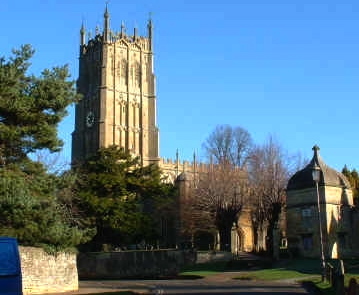 Like Burford, Chipping Campden’s glory days also date from the 14th century to the 17th century. A rich wool trading centre in the Middle Ages, this village enjoyed the patronage of wealthy wool merchants. Today it is a popular Cotswold destination. 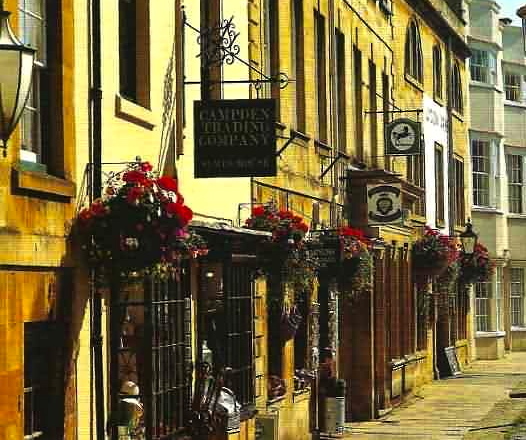 The High Street is lined with honey-coloured limestone buildings, built from the mellow locally quarried oolitic limestone known as Cotswold stone, and has a wealth of fine vernacular architecture. The early perpendicular wool church of St James with its medieval altar frontals is a special stop along our way today. 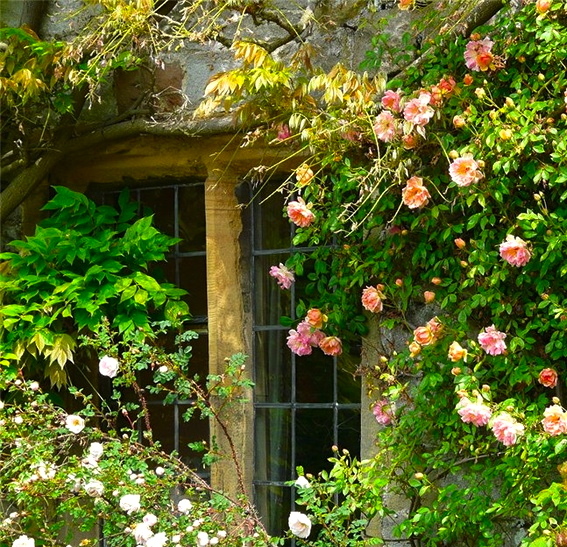 It’s a shame we’re going to miss the Chipping Campden Open Gardens Weekend June 21 to 22, 2014, 2 – 6pm. In case you can return there will also be teas and a plant stall. £6 for an afternoon and £9 for the weekend. Usually over 20 gardens open. To learn more about the Open Garden Scheme in England. There are two famous and historic gardens nearby: Hidcote Manor Garden, owned and managed by the National Trust, and Kiftsgate, privately owned, but open to the public. We will visit Hidcote tomorrow. This entry was posted in A Trip To The Cotswolds With Stepheny and tagged Chipping Campden-Cotswolds, St. James Church, The Open Gardens National Scheme. Bookmark the permalink. Oh My Goodness, this is dragging up my past. We’ve been here, it’s lovely. There is a silversmiths and the family have had Christening spoons made by them for the children. Looking forward to more of your posts. There is time, take us to the silversmiths this afternoon. I don’t know a thing about Christening spoons, but what a lovely gift. If not too expensive, I would love to buy one. Enjoying your trip. This is as close as I am going to get. Well. let’s make the most of it and enjoy our day today in Chipping Campden. The weather is perfect (because I say it is) and we have our good walking shoes. Now where is the book store? I’m having such fun on this trip with you. England is a great place to vacation. Did you see any cricket games going on in your wanders? Beautiful photos! Thanks for the tour!